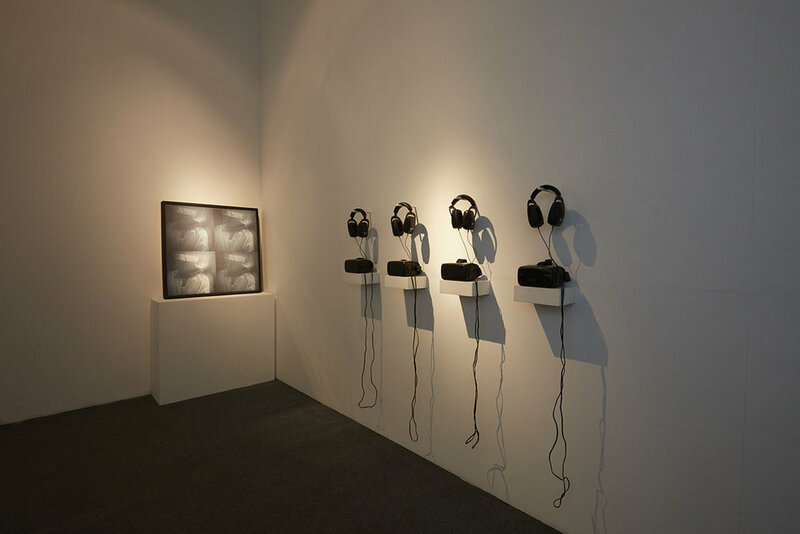 Shumon Ahmed’s Solo Project builds upon a prior body of work, Land of the Free, which immerses the viewer into the delicate continuum between sanity and madness that shapes an individual from within. “Reason, or the ratio of all that we have already known,” wrote William Blake in 1788, “is not the same that it shall be when we know more.” This ratio is delicate, and our minds naturally fight to keep equilibrium that anchors us to a sense of reality. Mubarak Hussain Bin Abul Hashem, or ‘enemy combatant number 151’, was flown back home to Dhaka in 2006 after having endured five years of torture and imprisonment at Guantánamo Bay. Through processes of humiliation, sensory overload and deprivation, Mubarak’s sense of self was broken down in an attempt to harvest information against his will, to sever his mind from reason. 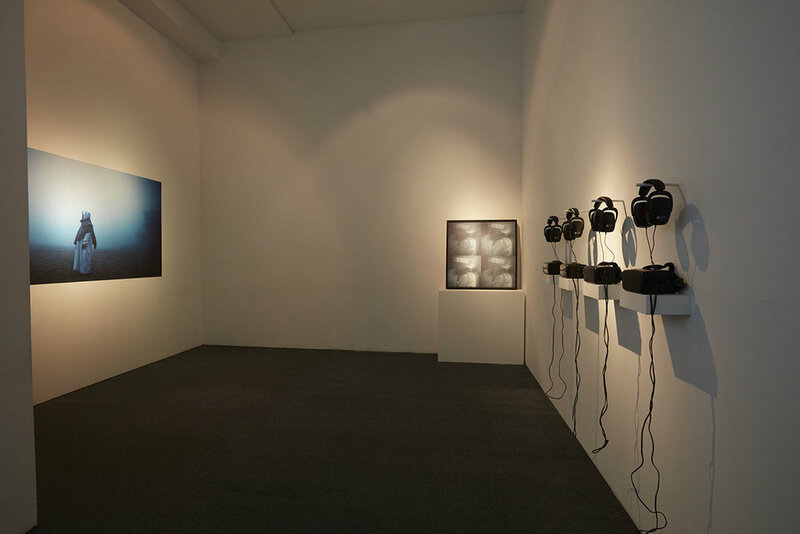 Ahmed’s project thrusts visitors into the grey spaces of the mind through harnessing torture techniques within the artworks, employing stereoscopic goggles, headphones, and powerful imagery and sound to transform his photographs into a physical experience for the viewer. This project investigates trauma that leads to insanity, and reveals processes designed to crack the human soul. It draws inspiration from W.J.T. 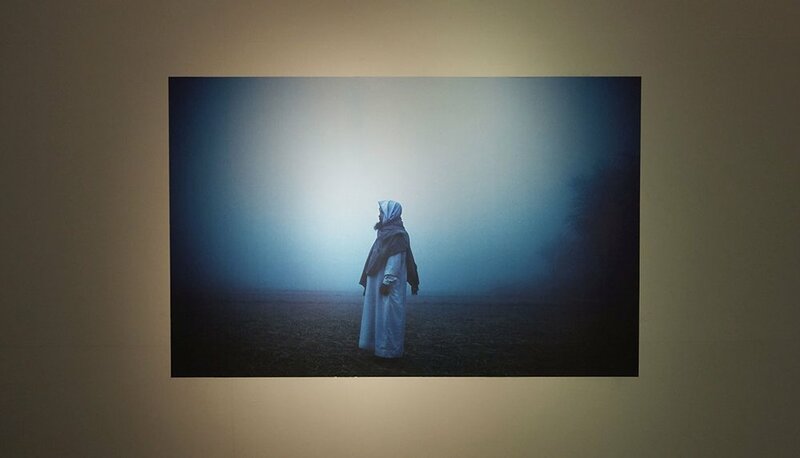 Mitchell’s work on “Seeing Madness,” as Ahmed’s images draw us into Mubarak’s compromised senses. 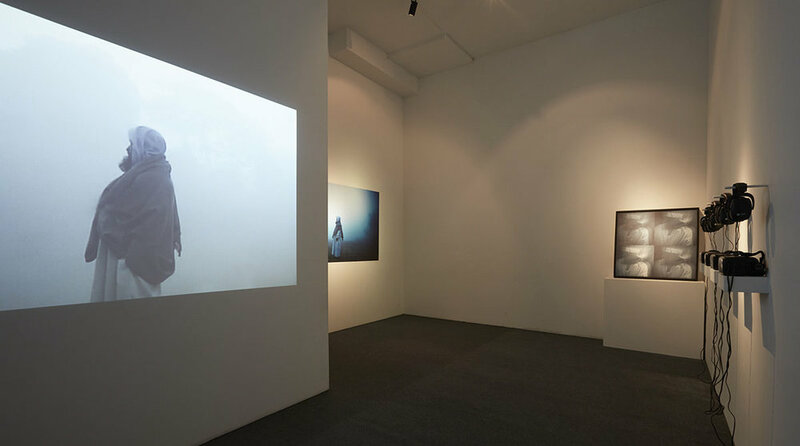 The idea of the ‘Land of the Free’ takes on a new meaning as viewers confront an aged Mubarak whose physical body finally finds freedom, but not without permanent mental fog and a lingering sense of displacement resulting from five long years of trauma.